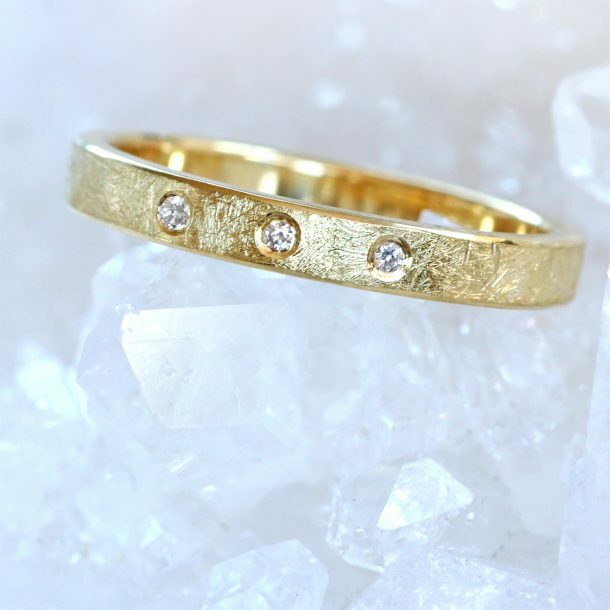 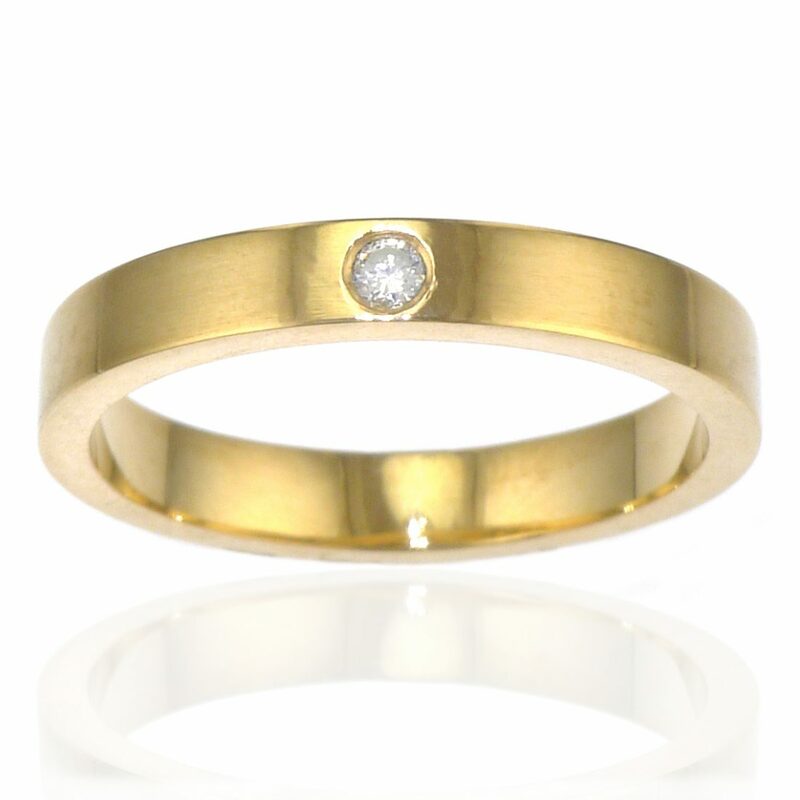 A modern take on a classic design, this elegant ethical wedding ring is set with a sparkly fair trade Canadian diamond. 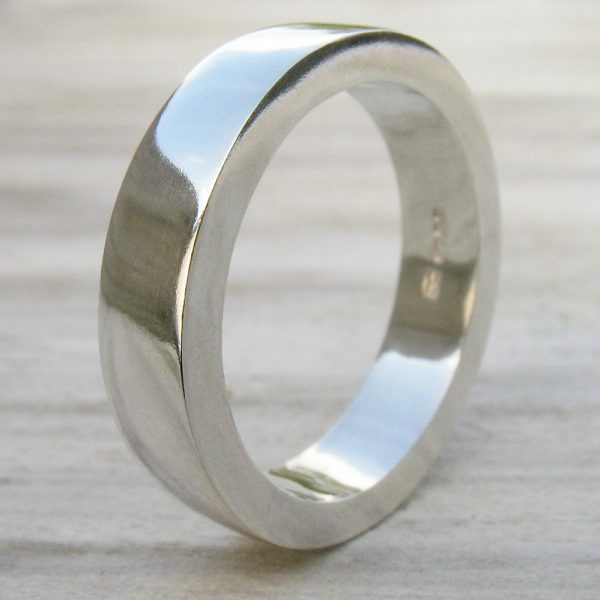 The 3mm wide band is flat in profile and textured with an unusual satin finish, with the edges polished smooth. 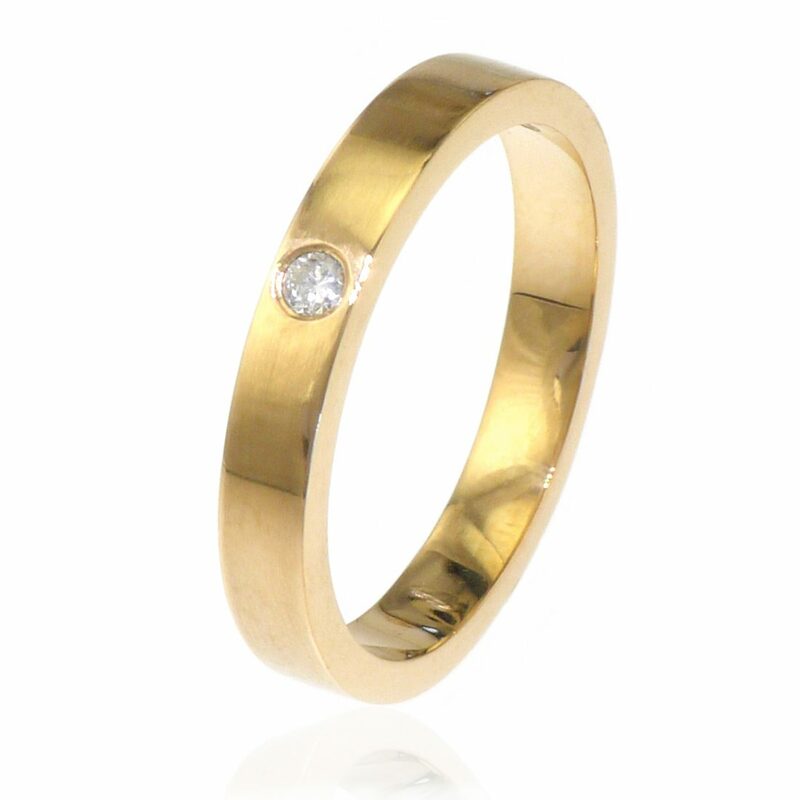 This diamond wedding ring can be handmade in a variety of metals, including 18ct yellow, rose or white gold, or 950 platinum. 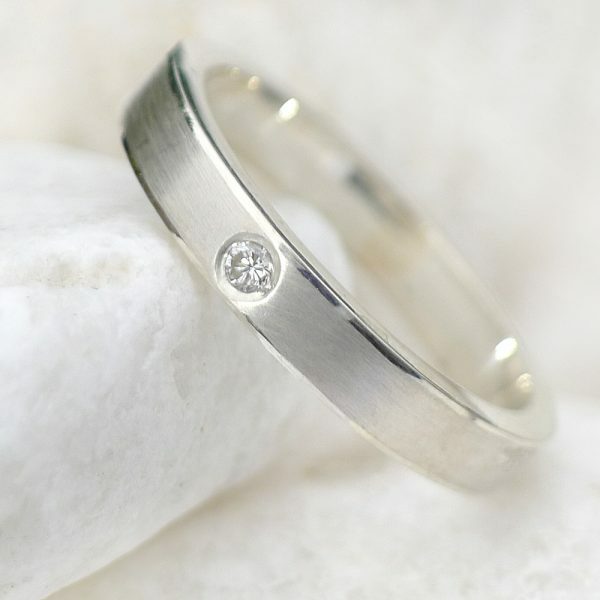 This design is also available in Sterling silver, please see: Sterling Silver Satin Finish Diamond Wedding Ring. 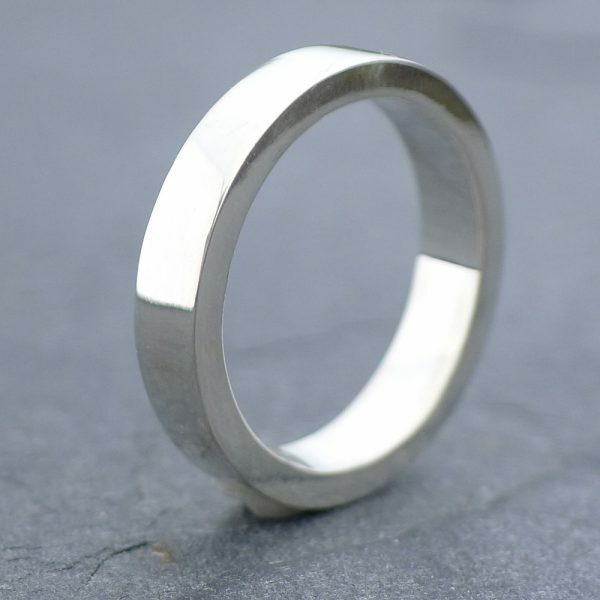 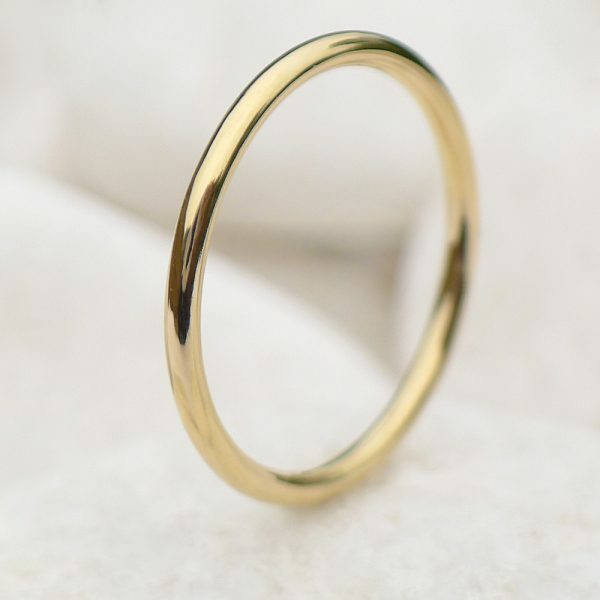 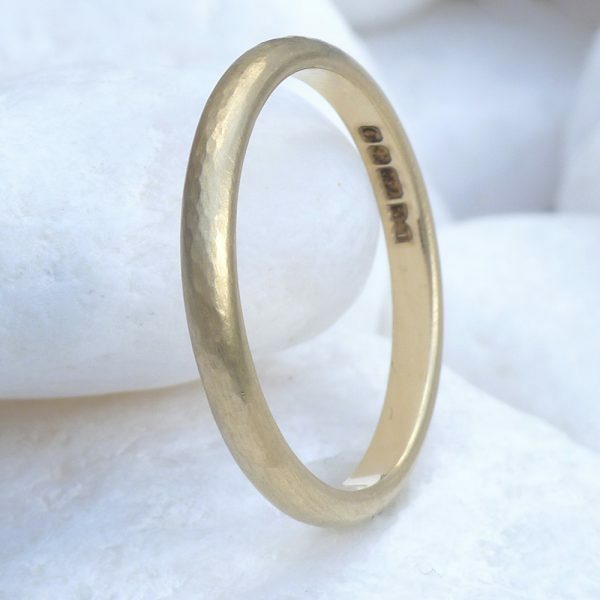 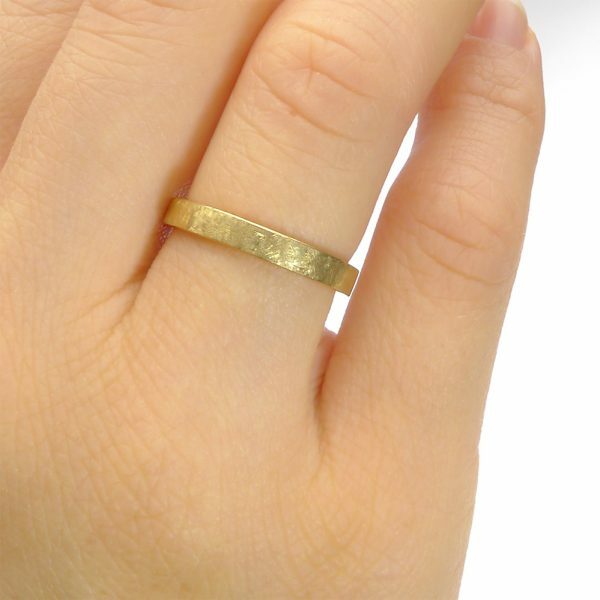 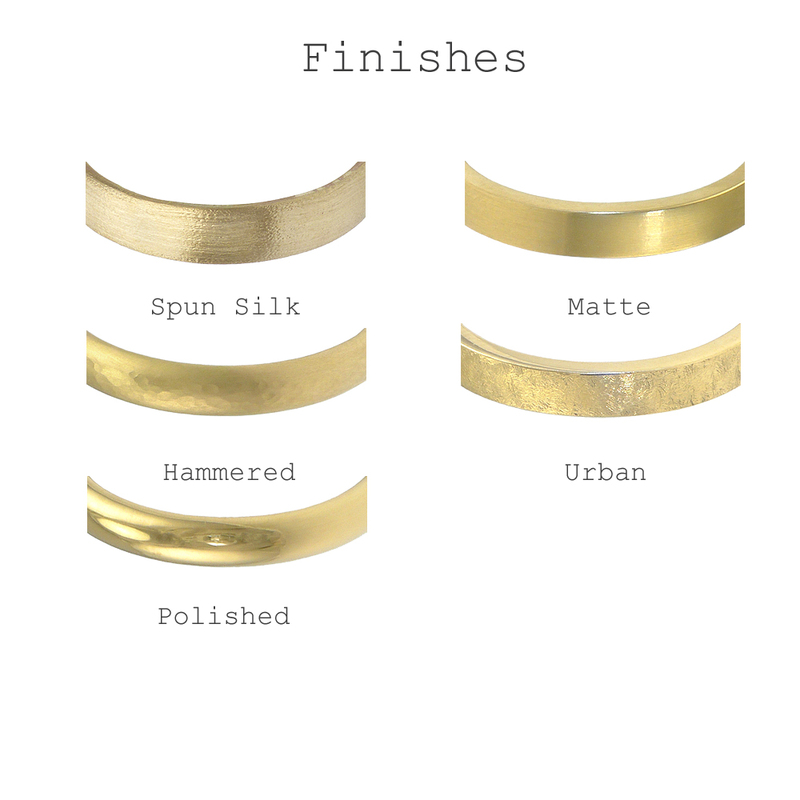 Your ring will be handmade to size and hallmarked. 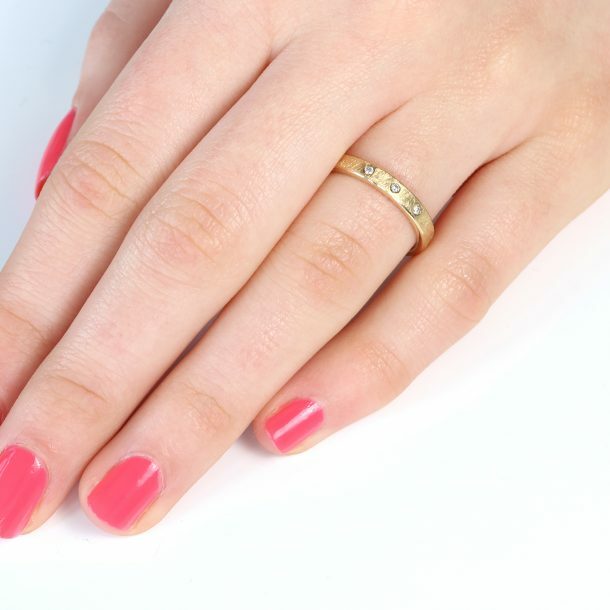 Please allow 6-8 weeks for delivery. 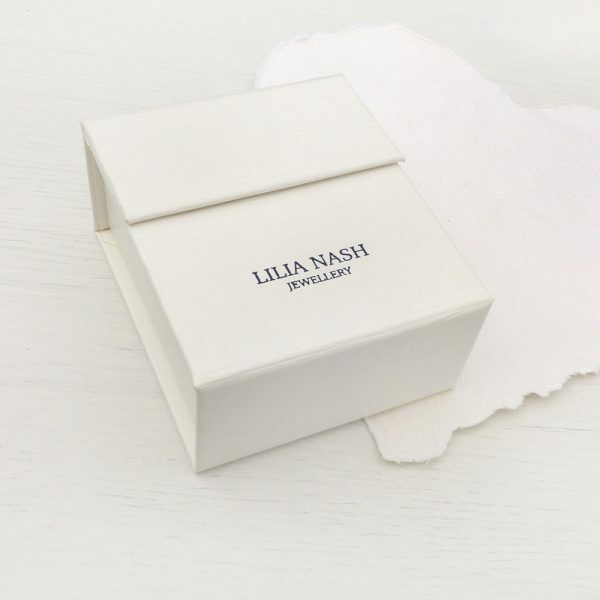 It will be presented in a pretty jewellery box. 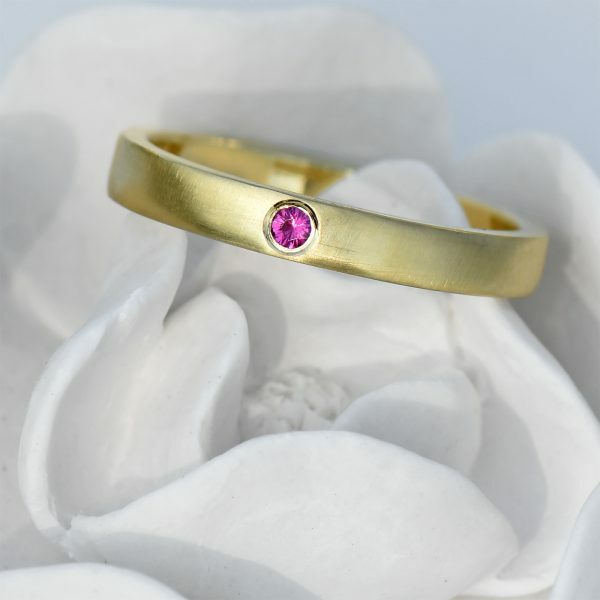 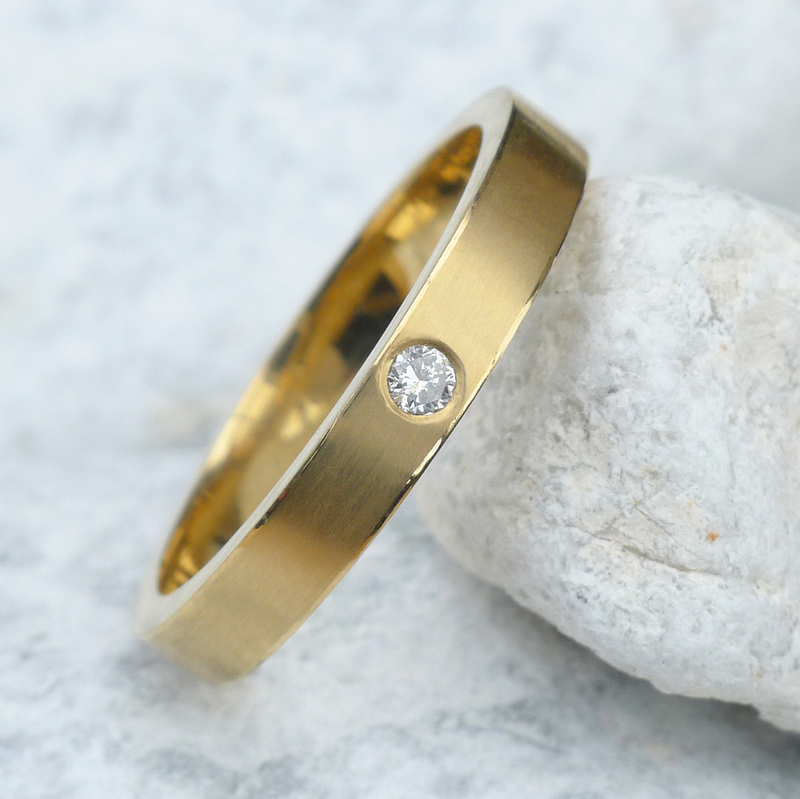 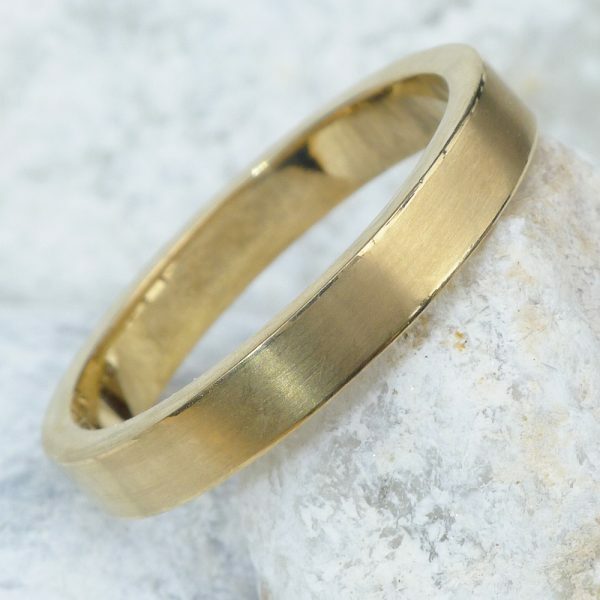 Currently available in 18ct yellow gold in size L. All other sizes and metals are handmade to order in 6-8 weeks. 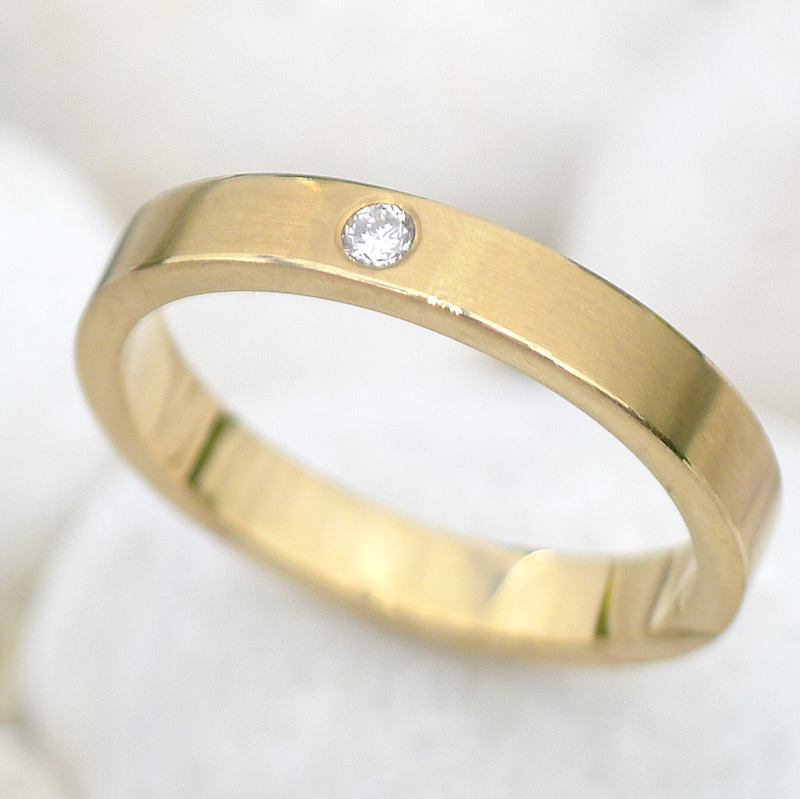 Our 3mm flat diamond wedding ring with a rectangular profile. 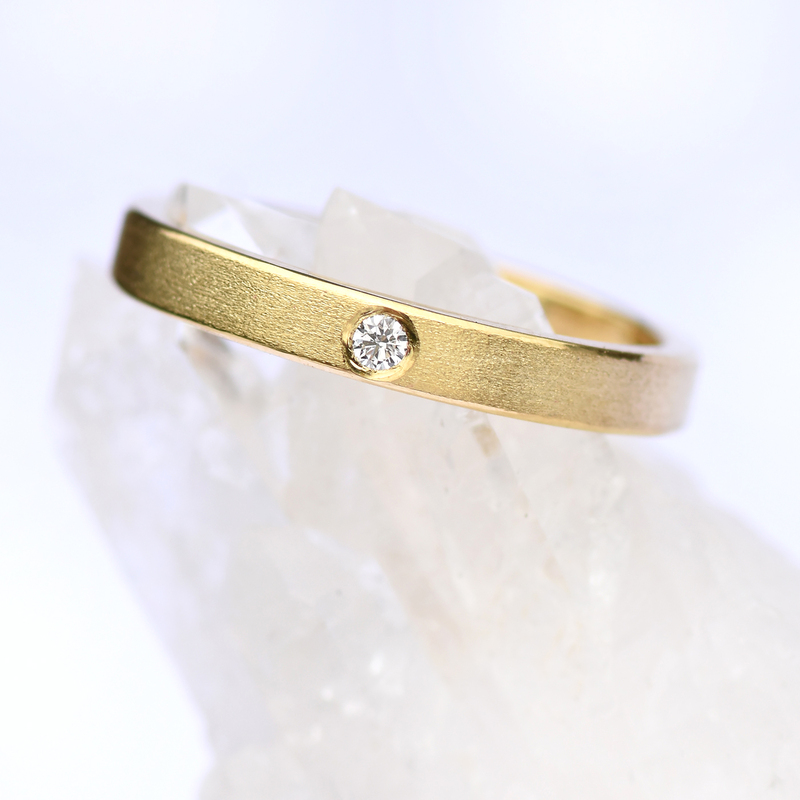 Sitting 1.3mm proud the ethical wedding ring features a single 2mm Canadian fair trade diamond flush set into the band. 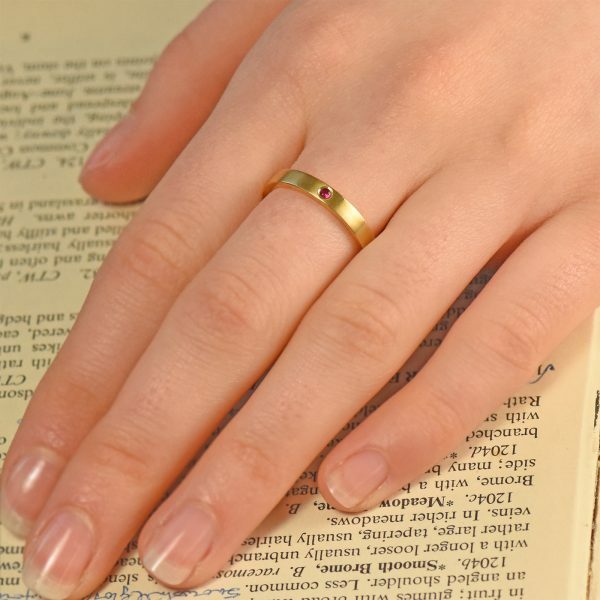 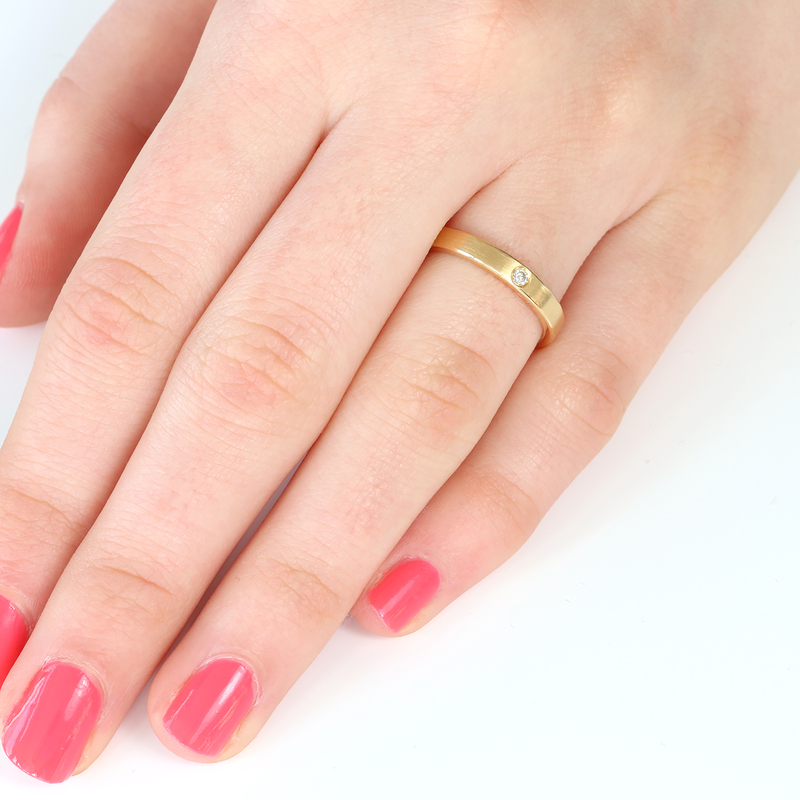 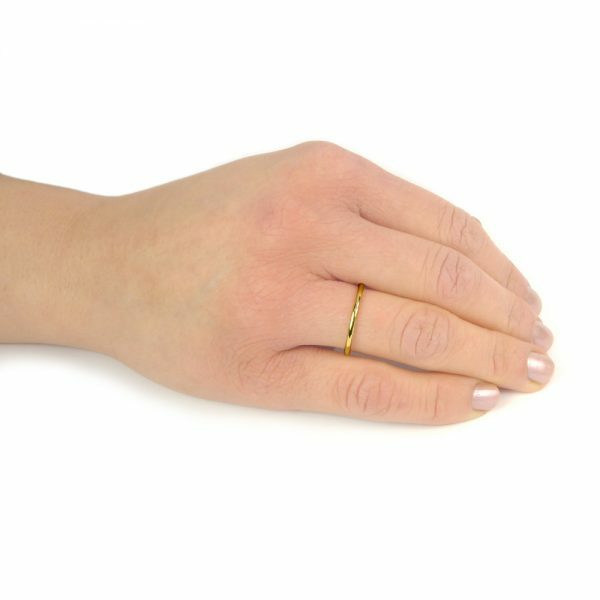 Handmade to order in recycled 18ct gold or platinum the ring is finished with a satin texture that is offset by polished edges.